When it comes to the 1st generation iPad repair, we believe we offer the most competitive repair solutions. Our high quality mobile and courier service is available in London, Essex, and Kent. We are on call daily for a wide range of original iPad 1 repairs. We can even provide an express solution the same day via our on site (we come to you) iFixExpress ® Certified Technicians. If its a quality iPad repair you desire at a price you can afford then look no further. Here iFixExpress at iFixExpress we are also a wholesaler of iPad parts to many businesses across the UK. This means we buy in bulk and pass our savings onto you are customers. This is why we do not feature a price list. We are always trying to drive down the cost of a quality iPad repair and we also back this up by offer our unique no call out fee repair service in and around London, Essex, and Kent. All you pay for is the repair and the part, nothing more. If you was to come to our walk-in repair centre in Dartford off the M25 you would pay the same price as you would in you home, office, or hotel room. We can come to you and repair your original iPad 1 in the comfort of your own surroundings at no extra cost to you! Because we are a distributor we always have the parts too hand so theres no waiting around, only an express repair as standard. The iPad screen repair and replacement service is the repair we carry out the most. If you have dropped and cracked your beloved iPad 1st generation we still carry a wide range of parts. Most importantly the front glass and digitizer. We can provide a swift repair across London, Essex, and kent via our we come to you engineers. in most cases within a couple of hours (appointments permitting).Why not give us a try today for a reliable, cost effective iPad repair service. 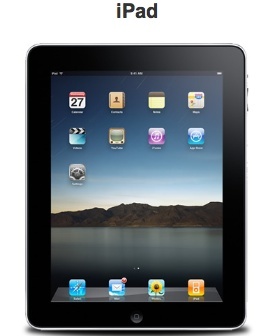 This iPad was originally released on April 3, 2010, and was of course announced by Steve Jobs himself. It ran iSO built around a multi touch screen. The original iPad featured wi-fi and 2G as well as 3G connectivity. Mobile Service Areas for iPad Repair : Crouch End N8, Edmonton N9, Muswell Hill N10, New Southgate N11, North Finchley N12, Palmers Green N13, Southgate N14, Catford SE6, Deptford SE8, Seven Kings IG3, Redbridge IG4, Clayhall IG5, Barkingside IG6, Chigwell IG7, Woodford Green IG8, Loughton IG10, Barking IG11, Wembley HA0, Harrow HA1, Wealdstone HA3, Ruislip HA4, Pinner HA5, Upminster RM14, South Ockendon RM15, Chafford Hundred RM16, Grays RM17, Tilbury RM18, Purfleet RM19, West Thurrock RM20, Whitechapel E1, Shoreditch E2, Bow E3, Chingford E4, Clapton E5, East Ham E6, Stratford E7, Hackney E8, Hackney Wick E7, Leyton E10, Leytonstone E11, Ilford E12, Plaistow E15, Docklands E16, Walthamstow E17, South Woodford E18, Stratford E20, Manor Park E12, Whitechapel/Stepney E1, Forest Gate E7, Homerton E9, Plaistow E13, Bethnal Green E2, Manor Park E12, Isle Of Dogs E14, North Woolwich E16, Waterloo SE1, Enfield EN1, Barnet EN5, Brent Cross NW4, Blackheath SE3, Camberwell SE15, Greenwich SE10, Lee SE12, New Cross SE14, Rotherhithe SE16, Woolwich SE18, Anerley/Penge SE20, Charlton SE7, Eltham SE9, Kensington SE11, Leiwsham SE13, Peckham SE15, Walworh SE17, Crystal Palace SE19, Dulwich SE21, Forest Hill SE23, South Norwood SE25, West Norwood SE27, Stockwell, Brixton SW9, Golders Green NW11, Hornsey N8 , Cricklewood NW2, and Hampstead NW3, East Dulwich SE22, Herne Hill SE24, Syndenham SE26, Pimlico/Belgravia SW1, Chelsea SW3, Earl’s Court SW5, Knightsbridge, South Kensington SW7, Hendon NW4, Kentish Town NW5, Kilburn NW6, Mill Hill NW7, St John’s Wood NW8, The Hyde NW9, Willesden NW10, Golders Green NW11, Croydon CR0, DA5 Bexley, Winchmore Hill N21, Northwood HA6, Stanmore HA7, Edgware HA8, Wembley HA9, Romford RM1, , Chadwell Heath RM6, Rush Green RM7, Becontree Heath RM8, Becontree RM9, Dagenham RM10, Hornchurch RM11, Hornchurch RM11, Elm Park RM12, Rainham RM13, Islington N1, East Finchley N2, Finchley N3, Finsbury Park N4, Highbury N5, Highgate N6, Holloway N7, Thamesmead SE2, Brockley SE4, Battersea SW11, Barnes SW13, Putney SW15, Tooting SW17, Wimbledon SW19, Brixton SW2, Clapham SW4, Bexleyheath DA6, Ilford, Essex IG1,Gants Hill IG2, Mayfair, Marylebone, Soho W1 Acton W3, Eailing W5, Hanwell W7, Maida Vale, Warwick Avenue W9, Notting Hill, Holland Park W11,West Ealing W13, Bayswater, Paddington W2, Chiswick W4, Hammersmith W6, Kensington W8, Ladbroke Grove, North Kensington W10, Shepherd’s Bush W12, West Kensington W14, South Tottenham N15, Stamford Hill N16, Tottenham N17, Edmonton N18, Archway N19, Totteridge N20, Fulham SW6, South Lambeth SW8, West Chelsea SW10, Balham SW12, Mortlake/East Sheen SW14, Streatham SW16, Wandsworth SW18, Raynes Park SW20, Wood Green N20, Camden NW1, Cricklewood NW2, Hampstead NW3, Hendon NW4, Kentish Town NW5, West Hampstead NW6, Colindale NW9, Willesden NW10.